The album, released today, is a 24-track, two-disc benefit compilation that will benefit Marcellus Protest, a non profit organization in Pennsylvania and other grassroots organizations around the country working to ban fracking. Food & Water Watch, which is also an album beneficiary, is donating its share of the proceeds back into a fund that album producers will distribute to grassroots organizations. “Buy This Fracking Album” contains a combination of original recordings, previous releases, and live renditions of older songs. The producer of the album, Jason Samel, also produced Occupy This Album, which benefitted the Occupy Movement. Funding for the album was raised through a crowd-funding campaign on Pledge Music. 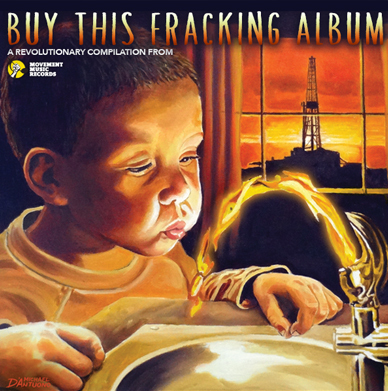 “’Buy This Fracking Album’ celebrates these local heroes, and we’re happy to participate in this effort to support these communities protecting their environment and public health from the oil and gas industry,” said Hauter.